Nose: Harsh. Alcohol, lime peel, juniper, hint of licorice. Palate: Surprisingly Sweet. GNS, sugar, pine sap, orange juice from concentrate. Mixed: Unremarkable but adequate in a G & T, Princeton and Tom Collins. Flat in a dry martini and AWOL in a Negroni. Parting words: With this gin, Ugly Dog (known primarily for their bacon flavored vodka) is doing the opposite of what most micro-distillers are trying to do. Instead of producing something different than what the big distillers are doing, their strategy seems to be to make an unpretentious, indistinct, workhorse gin. There’s nothing wrong with that, except that the big boys can do it much cheaper. Beefeater & Bombay are $18, New Amsterdam & Pearl are $12, Seagram’s Dry is $11 and Gilbey’s & Gordon’s are $10. To add insult to injury, the label and bottle are ugly as hell. Gin is all about aromas and the smell of dog is not what most gin drinkers are looking for. 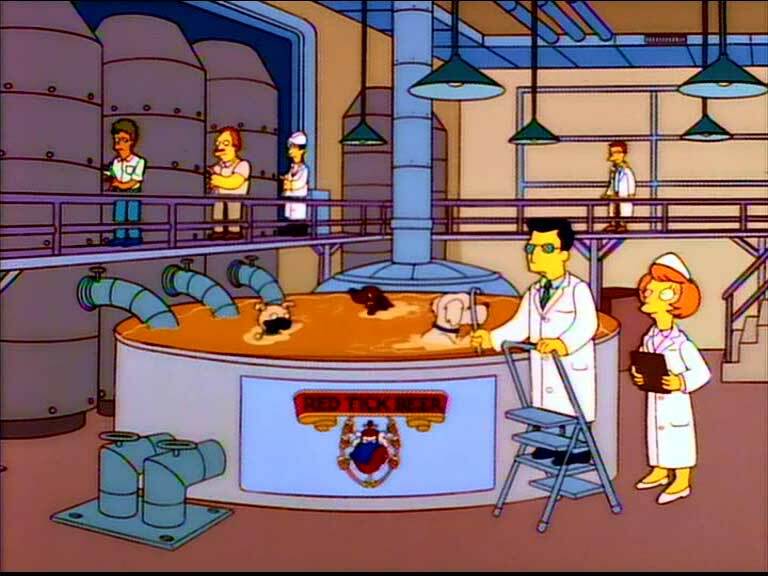 Plus, it made me think of this scene from The Simpsons. “Needs more dog”. Anyway, as you may have guessed, Ugly Dog Gin is not recommended. That is interesting, because I normally don’t like gin but I really liked their gin! I don’t care for their other stuff though, especially the bacon flavored vodka. Well, every palate is different! As we like to say at our house, you milage may vary (YMMV). But yeah bacon – flavored vodka…just no. Only worse thing I’ve seen was smoked salmon vodka.